A great tent. Easy to put up and put away. Its lovely the front folds up, open plan living! The sun canopy isn't so great, can seem to get it to go very taunt as it attached to the tent by elastic holding over the tent poles. Good space inside tent, with handy cooking area. Bedrooms are a good size. Good in bad weather and not flappy in the wind. Overall a good, well built tent that we plan on keeping for years to come. 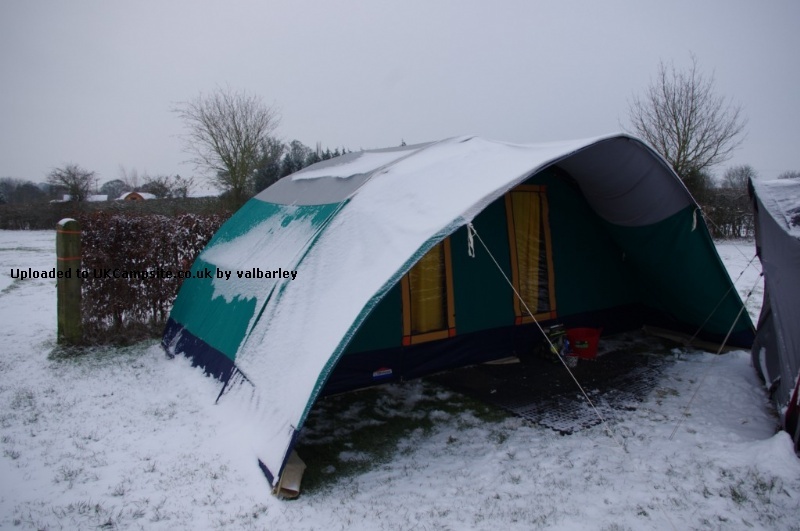 Add your review of the Latitude! 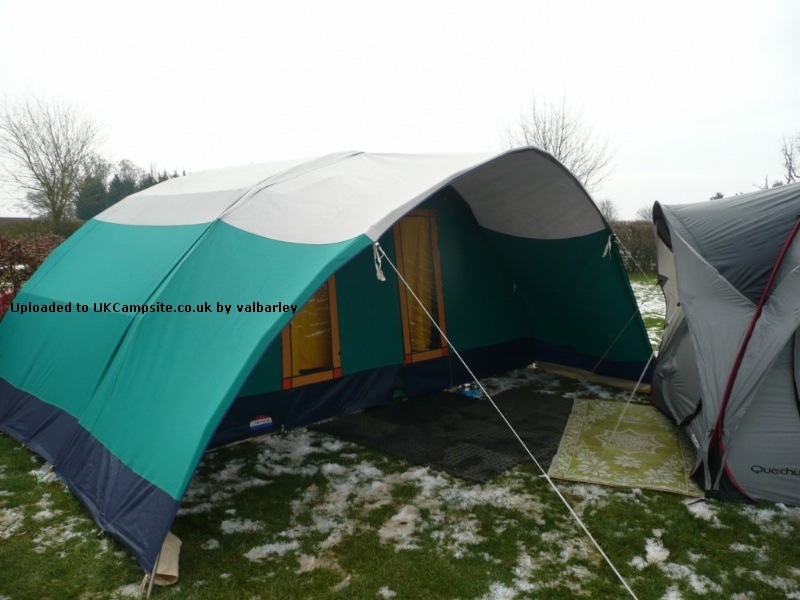 An exciting modern design with a strong, easy to erect, steel frame makes this tent more stable and durable than ordinary family tents. Sleeps 4. Kitchen area at rear with ventilated window and outside flap. Lounge area with roof lining and curtains. Front wall may be rolled away. Optional sun canopy can be attached.